Online High School Diploma. Start today for only $99/$129. Welcome to Northgate Academy. Affordable, Accredited, Online Christian Education on your Terms. Are you ready to take control of your child’s education? Maybe you are an adult looking for a way to finish high school online? Are you looking for a school that shares your conservative Christian values? Northgate Academy connects global learners with a flexible, affordable, high quality online Christian high school experience. At Northgate Academy, we help our students achieve the goal of becoming a high school graduate. The accredited online high school diploma courses at Northgate Academy puts students in the driver’s seat with their education. If character building and traditional values are important to you, consider our school for your child. We realize that all students have different needs when it comes to their education. Northgate Academy offers flexible accredited online high school courses to meet your specific needs. Whether you are an accelerated high school student, you just need a make-up course, or perhaps you are an adult learner re-engaging in your education, we have an online high school diploma program custom designed to meet your specific needs. Study at times that are convenient for your lifestyle & schedule. Progress at your own pace. Courses are available 24/7 on your terms and according to your schedule. 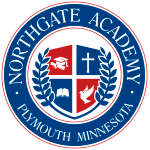 Northgate Academy is an online Christian high school that provided courses for high school-aged and adult learners in need of a quality education. Fully accredited by Advanc-ED and recognized worldwide. Everyone should have the opportunity to complete high school. That’s why we keep our tuition low. Enroll today for $ 99/$129. Earning a high school diploma is important for many reasons. Students planning on entering the workforce, joining the US Military or enrolling into college or university will need to have a high school diploma. If you are seeking a faith-based education that aligns with your values, Northgate Academy may be a perfect choice. We have a unique community of online learners from all over the world. We have students that chose to attend high school online due to social problems, large classroom size, conflicting beliefs concerning the educational process, and bullying. Maybe you just don’t share the values taught at the public schools. We have athletes, performers, military and expats students; as well as international students that have chosen to earn an American, accredited high school diploma online. Students love the ability to attend high school according to their schedule and pace. If you are ready to get started, why not Enroll Now?